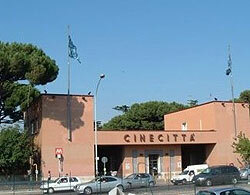 The district's name means "Cinema City", and Cinecitta is Italy's Hollywood. In this area is found the vast film studio complex Cinecitta, from which the district takes its name, as well as large shopping centres and a racecourse. Rome's second airport, Ciampino Airport is located in this area. This airport is used by some charter flights and budget European flights.